How To Treat A Cold Naturally - Help with Cold, Coughs and Flu. Echinacea has long been used as a booster the immune system. The best way to do this is by using Echinacea Extract. Simply take half a teaspoon of the extract every day for up to ten days. You can take it in water if you would find that easier. You can also take Echinacea in tablet form if you prefer. Echinacae is completely harmless for everyone except people who may be suffering from a condition in which the immune system is compromised, for example, Multiple Sclerosis. In that case, Echinacea must not be taken. Garlic is good for you in so many ways, and it can definitely help to treat a cold naturally. If it is cooked, its effect will be considerably lessened. Inhaling is a great help as a decongestant. If you are anything like me. when you have a cold you quite often wake up with a blocked nose and sinuses, which can also cause a headache. I find that inhaling as described below can quickly alleviate those symptoms. In order to inhale, you need a bowl containing at least two pints of boiling water. Add two drops of Tea Tree Esential Oil and two drops of Eucalyptus Essential Oil. If you only have one of those oils, then use four drops. Olbas Oil is also very effective when used for inhaling. Olbas is also available in the form of pastilles and as a nasal inhaler. Use a large towel which will cover both your head and the bowl, taking great care not to put any part of your head too close to the boiling water, and breathe deeply over the bowl. If you can manage it, it is best to inhale for up to ten minutes at a time, and repeat as often as you feel necessary. After you have been inhaling you should find that your nasal passages are much clearer, allowing you to breathe more easily. It is of course possible to use just boiling water for your inhalation, and although the addition of Essential Oils will make the inhalation more effective, inhaling with boiling water alone is far better than not doing it at all!! I would not recommend the use of inhaling for young children. 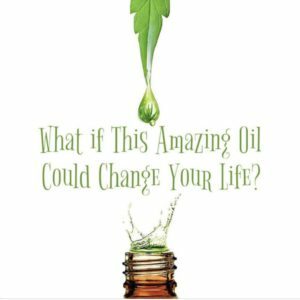 However, any Essential Oil can safely be used in an Electric Diffuser, which is perfectly safe for use with children of any age as wells for Adults. It is especially important to make sure that you keep up your intake of liquids when you have a cold. Drink plenty of water of course, preferably hot water, as this helps as a decongestant, as do Herbal Teas which also have added benefits. The best teas to use are Ginger, Peppermint and Elderflower. All of those are very good decongestants. You can buy them ready to use in tea bag form, or you can make your own. You will need 2 teaspoons of fresh Ginger Root, grated, with one teaspoon of dried Elderflowers and one teaspoon of dried Peppermint. Of course, you can use fresh Elderflower and Peppermint if they are available. Seep those in 8 fluid ounces (250 ml) of boiling water and leave for ten minutes. Sweeten with honey if you wish, and drink whilst it is hot. This tea will also help to reduce a temperature, and may be taken up to six times a day. Use 3 teaspoons of freshly grated Ginger, 2 tablespoons of fresh Lemon juice and 1 tablespoon of Honey. Simmer them in 500 mls of water for about 10 minutes, then strain. You can also find a ready-made tea if you like. You often get a sore throat when you have a cough, cold or flu, and they can be very uncomfortable! Again, drinking is a help with a sore throat – lots of water, and the Ginger and lemon Tea will help to, as Ginger is great at relieving sore throats. Another help is Gargling. Gargle with fairly hot water, to which you can add some Tea Tree Essential Oil, about 5 drops. Tea Tree has anti-septic qualities which definitely help. 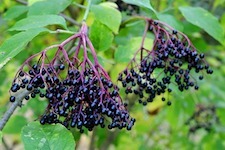 Elderberries are a traditional remedy for treating Flu. They are very good at fighting the virus and at preventing it from spreading, and at boosting the immune system. The products which I recommend also have added vitamins and minerals. The best way to take them is in the form of Elderberry syrup. Take one tablespoon of the syrup three times a day for as long as you need it. Whenever I or any of my family have a cold, we always take a Tissue Salts Combination. Tissue Salts are a homeopathic remedy. They are made from the minerals which are essential for a healthy body, rediced until they are micro-doses. They are quite natural and may be taken by adults and children alike, and will not in any way interfere with any medicines or vitamin supplements which you may be taking. Combination J is for Nose, Throat and Chest disorders, and Combination Q is for Catarrh and Sinus disorders. The dose is four tablets every half hour whilst you have symptoms. It is very important that you should not touch the tablets with your fingers, as that will degrade them. They will dissolve on the tongue so they are very easy to take. Tissue Salts are completely harmless, and it is impossible to overdose on them. Personally, I always have them in my medicine chest. You can find Tissue Salts to help with most everyday ailments, and I find them to be most effective. Hot baths can be very relaxing at any time, but are very helpful during a cold, especially just before bedtime. Obviously the bath should be no hotter than you are comfortable with! Add a good handful of Epsom Salts, which are a great muscle relaxant, and you may add 3 or 4 drops of Ginger Esssential Oil but do not use too much! Ginger has a warming effect, so it is great if you have a chill. If you sprinkle 2 or 3 drops of Eucalyptus essential oil or Olbas Oil on to your pillow before you go to sleep, you will find that it makes it easier to breathe overnight. Also, 2 or 3 drops of Lavender essential oil sprinkled on to your pillow will relax you and help you to sleep at any time. Lavender also acts as an anti-inflammatory. Take great care to put the drops where they will not come into contact with your eyes. 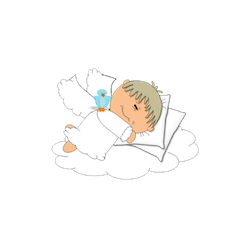 To help with sleeping for a child aged 6 months to two years, it is probably better to put two drops of lavender onto a piece of material and tie it to the side of the bed or cot. 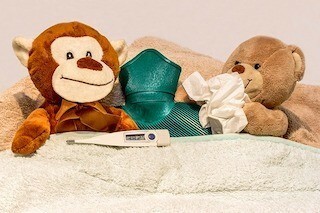 I do hope that these tips will help you to treat a cold naturally, and that you will get a speedy recovery! and wish to purchase any of the remedies mentioned within this post, please click here. If any of your symptoms persist longer than you would think was normal, or if you have a persistent fever then please do consult a Doctor, and if by any chance you are uncomfortable using any of these remedies, then of course you must stop using then at once. Many thanks for reading this, and I do hope that you find these tips helpful and that you now know how to treat a cold naturally. I hope that you will check back here from time to time for other tips using Natural Remedies. 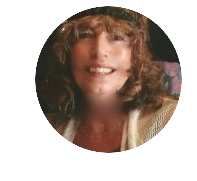 If you would like to be the first to see the latest tips from Simply Natural Remedies, please leave your email in the box on the side of this page. I would love to hear any Comments which you may have, and if you have any questions I will try to answer them as soon as I can – please leave them in the Comments box below. I want to thank all the people who have given me advice on the use of natural remedies over the years, and particularly my daughter Sally, who is extremely knowledgeable in this field. I have used the Readers’ Digest “1000 Home Remedies” in order to check that my information is correct. What I do for a cold is just like you said. A clove of garlic every day. I buy a bottle of minced garlic and place on the different kinds of food I eat each day. I also like you suggested eat it raw.I too want to avoid the garlic breath and the burping. For inhalation, I too would boil water and maybe add some Vicks. What I found even better was to use my wife’s facial steamer. All I do is add some apple cider vinegar. Like you said about 10 minutes. Works like a charm. For my score throat: I gargle with hot water and salt. Works all the time. You really made me think…Thanks a lot…. I really like your remedies too. There really is no need to buy medication for a cold when Natural Remedies are just as effective with no need to worry about any side-effects! Hi Chrissie! I just LOVE your website! I am a firm believer in Homeopathic remedies, antibiotics, essential oils and natural teas. They present healthy alternatives and therapies to over-the-counter prescriptions or medicines off the shelf. Your information is quite insightful and I am learning even more from your thoughts! Your presentations sent me a caring feeling and message that you are genuine and have experienced much in this field. Thank you for providing such essential and welcoming input! Thank you so very much for your very positive comments, you are obviously of the same opinion as me with regard to natural remedies. I would like to make as many people as possible aware of their benefits and uses! Previous Previous post: Why Use Natural Remedies?